You have probably seen the pin above floating in cyberspace. When I saw it, I thought “how true”. Many of us have seen prime examples of what can happen when a parent takes an active interest in their child’s education. Children with involved parents have an advantage over other children. It’s like getting a heads start in a race. 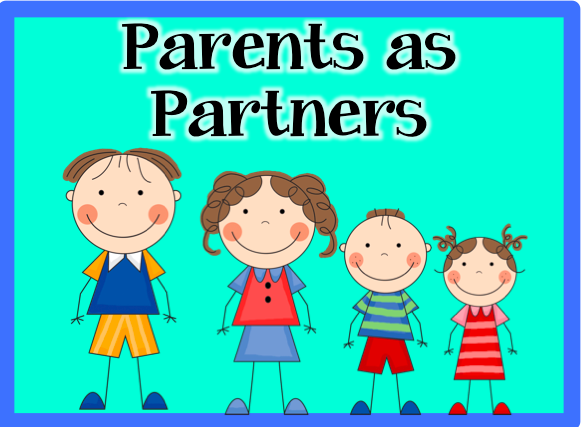 Through the years I noticed that the parents who weren’t as actively involved shared some common stumbling blocks. If you can show parents how to get over or around these obstacles, the parents will become your partner in their child’s education. A parent’s childhood school experience can affect how they respond to their child when it comes to school. If a parent had some type of diagnosed or undiagnosed learning disability, his/her school experience was probably not positive. He/she may left school feeling inadequate, insecure, and not capable of learning. Parents may feel they’ll lose their child’s respect if they can’t help their child with his/her homework. At my Back to School night I always tell my parents don’t be afraid to ask questions about how I present material because it’s important that we work together as partners. I assure them that I ask my daughter’s teachers questions all the time. I give them examples such as, how do they teach multiplication or phonics. Different teachers teach it different ways and I don’t want to confuse my daughter at home by showing her a different way. If I’m a teacher asking my daughter’s teacher questions, it makes the parents feel like it’s OK to ask me questions. I can’t tell you how many times they will begin the conversation with . . . . “You know how you said at Back to School night that you ask your daughter’s teacher questions, well I have one for you . . . ” It opens the door to future communication. *With young children: at bath time, let them spread a little shaving cream on the side of the bathtub. You say a word, the child writes with his/her finger the letters he/she hears at the beginning of the word or the end of the word. He/she can practice writing his/her name. *When you’re driving down the road, play I spy with letter sounds. I spy a word that begins with the “ch” sounds. I spy a word that begins with the “b” sound. *Let your child help you in the kitchen while you are making dinner. Measuring ingredient involves fractions. *For older students, if you are planning a home improvement project, let your child be involved in the planning. There will be many mini-math lessons with this experience. *At the grocery, do you see a fruit that begins with a blend? Let your child write the shopping list and read it to you as you are shopping. Check with your librarian or counselor to see if he/she has parenting books that parents can check out. Also let your parents know if parents can check books out of the school’s library and encourage them to read to their child. Great ideas for 'what to do at home' activities for parents. We have to list 3-5 suggestions at the end of each report and sometimes it is hard to come up with new ones- this will be really helpful. Love the shaving cream idea too.